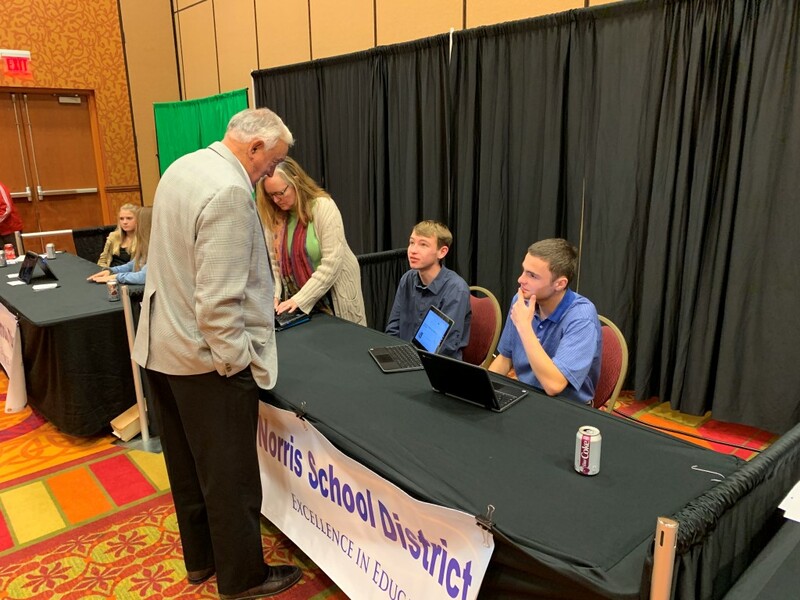 Norris students and staff present new technologies during the Nebraska Association of School Board’s Technology Showcase. 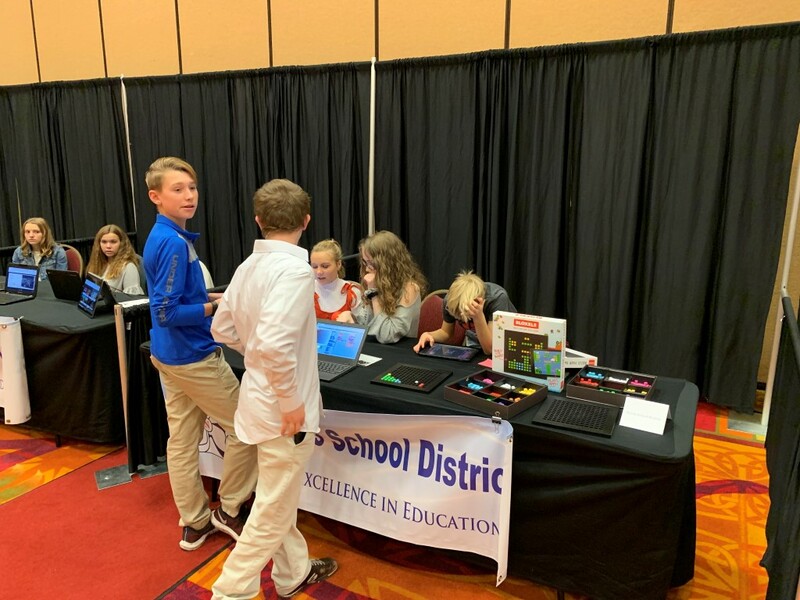 The Norris School district had 4 booths representing the latest in technology integration in education at the NASB (Nebraska Association of School Board’s) Technology Showcase held at the Papillion La-Vista conference center in Omaha on Friday, November 16th, 2018. 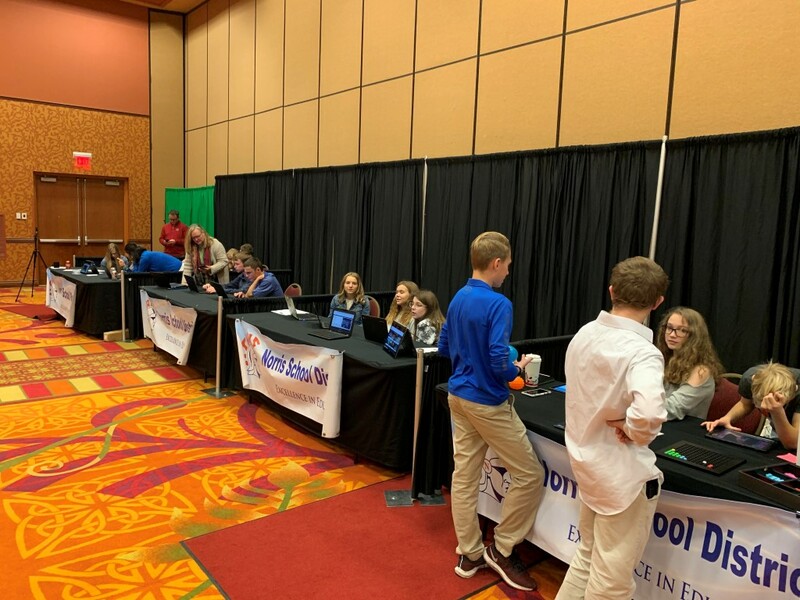 The Nebraska Association of School Board’s Technology Showcase is a one-day event held during the School Board Association’s annual conference. members get a chance to interact with staff and students and bring back ideas to their home districts. Mr. Jason Cullison along with middle school students Ethan Guthard, Olivia Fortner, Paige Lindstrom, Jordan Williams, Alexis Bishoff, and Chloe Jones demonstrated low-cost tools to develop a Middle school news broadcast. Miss Kelly Wieting along with high school students Christopher Boon and Hunter DeBoer demonstrated how to use Chromebooks and apps for Speech Competitions. Mrs. Jessie Andre along with middle school students Pete Wasser, Brooklyn Ivy, Lexi Williams, and Makayla Ebbers showcased utilizing Book Creator to create two-minute mysteries as well as app building using Bloxels. Mrs. Shelly Patrick along with middle school students Paige Steward, Kener Lovercheck, Kaleb Glover, and Peyton Wilson highlighted a variety of STEM (Science, Technology, Engineering, and Math) projects utilizing Swift programming, Sphero devices and more. As Noel Erskine, Director of Technology at Norris Schools states, “Technology can make education more meaningful and come alive for our students.” There are a lot of technologies used daily within the classes at Norris, but these teachers and students are sharing with school board members from around the state a few of the tool they utilize. These new technologies offer engagement activities and real-world experiences to students throughout the Norris District. 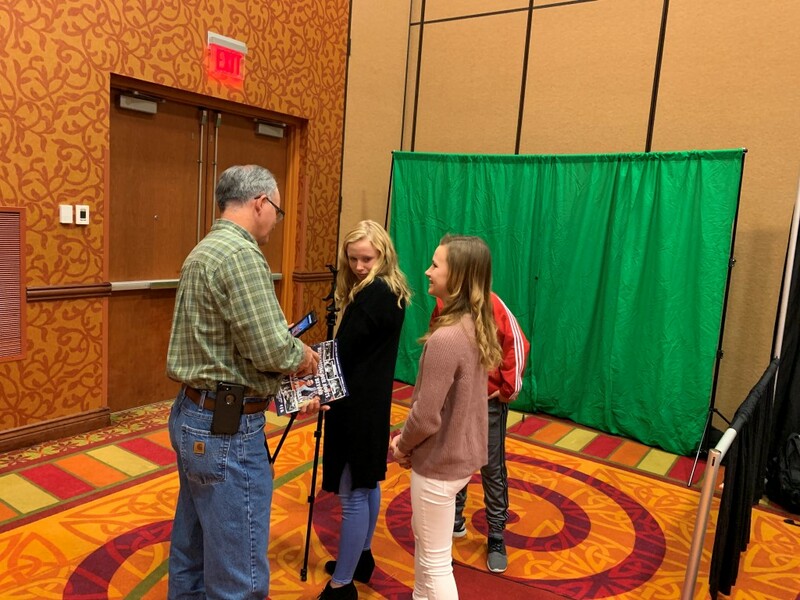 Video on the NASB Conference by the Norris Middle School news broadcast team.